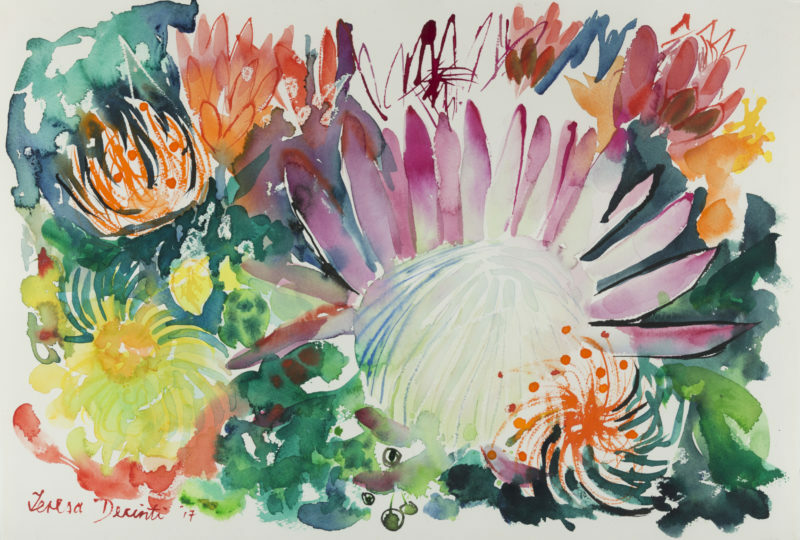 As a South African artist, I’m blessed to be able to draw inspiration from the vibrancy of SA’s landscapes and the diversity of its flora and fauna. Recently, I’ve taken some of my favourite paintings from canvas to silk and have created my very own exclusive range of digitally printed silk scarves. The range features eight of my favourite paintings – each specially selected because their story. The first image is of the Groot Drakenstein Mountain and its valley filled with Proteas and Fynbosch, taken from Dellaire Graff Estate. 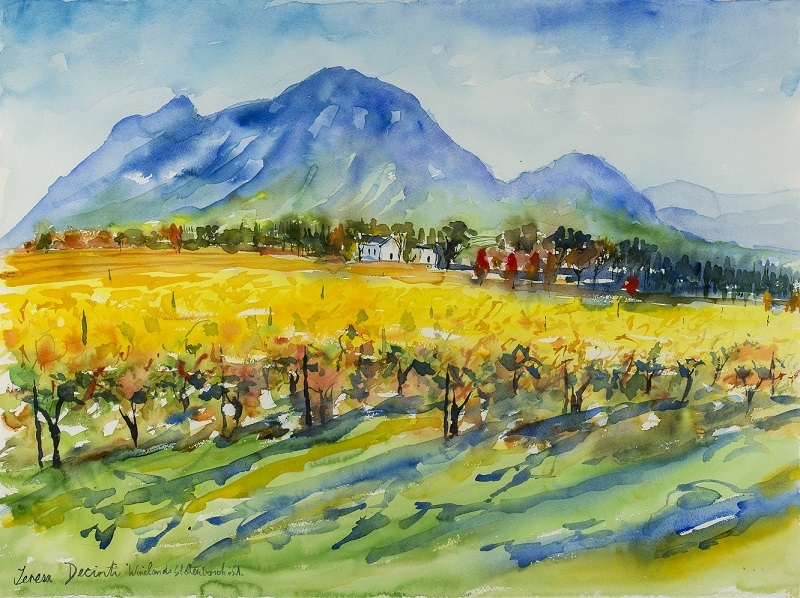 The second is an image of a watercolour painting I did of the Simonsberg Mountain with yellow vineyards. 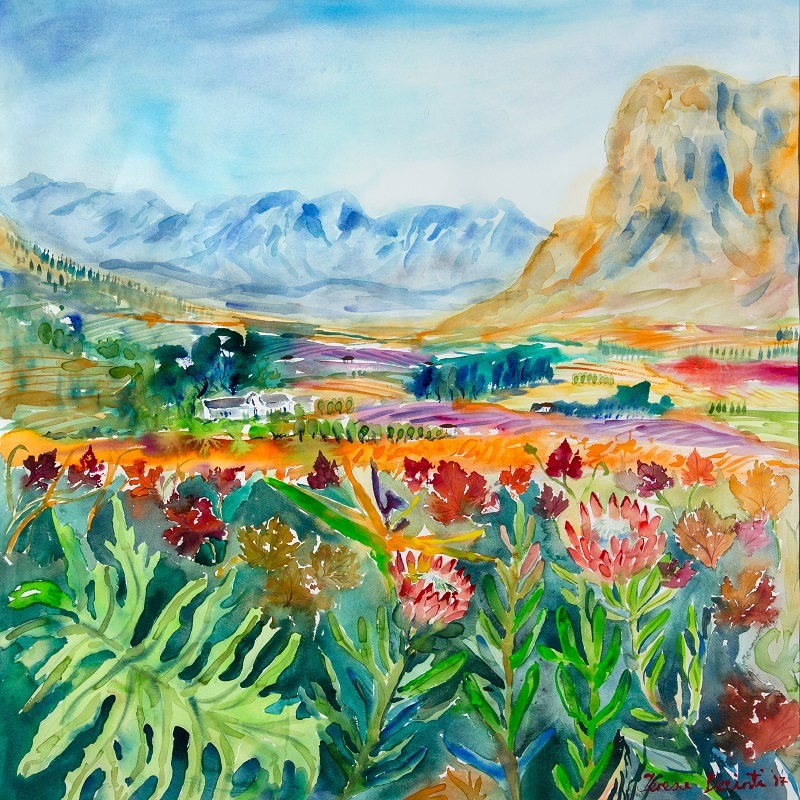 The third image is a painting of the Franschhoek Valley from La Petite Ferme wine farm. Silk was the obvious choice. It’s an amazingly versatile fabric. It’s delicate yet robust, reflective and absorbent, while also offering cooling and insulation properties for summer and winter temperatures. I chose 100% mulberry silk specifically for its luxurious look and feel. 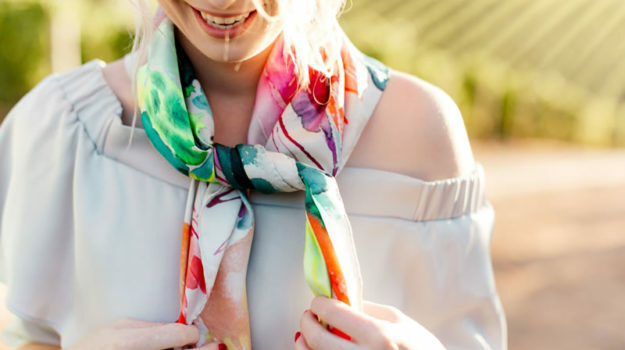 Once printed, each scarf is hand-hemmed to ensure quality and that care is taken. To purchase, you are welcome to place an order online or visit my gallery in Stellenbosch. We offer cost-effective international shipping and have happy clients situated all over the world. For more information about my silk scarf range, please contact me.